Manipal University BA Media & Communication 2018 application process for admission will be started from 21 March 2018. Manipal University offers various Undergraduate and Postgraduate Courses. The admission in BA Media & Communication will be based on Manipal University Entrance Exam, MU OET 2018 that will be conducted by the University. This page further gives information about admission to BA Media and Communication and B.Sc. Animation. The last date to fill and the application form is 21 March 2018. The School offers a 3-year degree course in BA Media and Communication and B.Sc. Animation along with many other Certificate and Postgraduate Courses. For admission to B.Sc. Animation candidates need not require to take the MU OET Entrance Exam. Candidates must have passed Class 12 examination, A Level, IB, American 12th grade or equivalent and a minimum of 45% marks in aggregate. Arts group subjects will be the preferred qualification. Candidates must have passed Class 12 Examination, A Level, IB, American 12th Grade or equivalent. 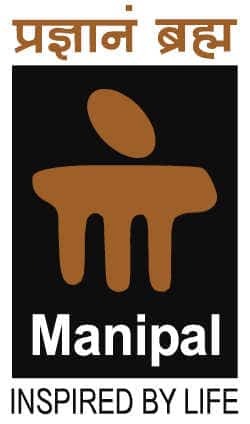 Manipal Admission process has started so all the eligible candidates can apply via the online application form. Candidates applying under General category for the undergraduate courses can apply online at the official website.Candidates can also pay the MU OET 2018 Application fee through Credit card/ Net banking or through Demand Draft. Manipal - 576 104.,Karnataka, India. A Demand Draft of Rs.1400 has to be made in favour of Manipal University, payable at Manipal or Udupi. Demand Draft: A Demand Draft of Rs.1600 has to be made in favour of Manipal University, payable at Manipal or Udupi. Manipal Admissions to B.Sc course are done on the basis of marks obtained in qualifying examination and there is No entrance test. Each question carries one mark. Each correct answer will be awarded one mark. No Negative Marking: The wrong answer or unanswered questions will receive no (positive/negative) mark.